Think back to a product you recently purchased that was either defective, broken, did not live up to its standards, or you were just plain unhappy with it. When brought to the attention of the company, how did they respond? Did they respond? Did they respond but make you jump through hoops? What has been your personal experience with being on the consumer side of a warranty issue? My guess is that either the presence of a warranty or the lack thereof had a great deal to do with how the matter was handled and how you feel about that company today. Unfortunately, most paint contracting companies, and many companies in general, get it all wrong when it comes to warranties. Let’s take a look at why you should offer a warranty, why it’s important to your customers, and how to use it to promote more business. First, it is just good business. Would you spend your hard-earned money with a company that does not stand behind their product/service? Consumers want to feel confident that the money they spend is returning value to them. A warranty offers just that. It creates security in the minds of your customers, as well as reduces friction during the selling/buying process. Beyond being assured they are receiving value for their hard-earned money up front, consumers also want to continue to see that value over time. Offering and upholding a warranty will create that surety. Second, any successful and long-lasting business always puts their customers first. Offering a warranty is a tremendous and low-cost way to continue to market to, build a relationship with, and receive business from your customers. It takes 10 times more time, energy and money to acquire a customer than it does to keep them coming back by staying in front of them. 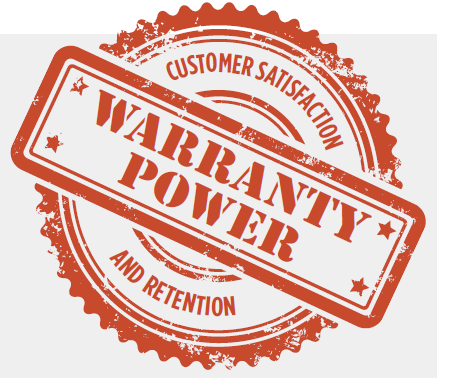 Once all that hard work is done, a properly constructed warranty will allow you to serve your customers while generating you more business. Below are a few practical tips on what to consider when you implement your warranty—to serve both you and your customers. Be proactive. Don’t wait until a customer calls with peeling paint; stop by on an annual basis for a paint checkup and evaluation. Make sure you catch an opportunity to serve them before they find a reason to contact you. This shows them you really care. Respond quickly. If a customer calls with a warranty issue, handle it quickly. Many companies are too eager to put warranty work on the back burner because it takes away from current income-producing jobs. Remember, it doesn’t matter when that customer has produced income for you. Just get the work done, serve them with excellence, and they will continue producing income for your company over time. Stand behind your work. Even if the issue is not ‘covered under warranty,’ it is usually more cost-effective to just fix the issue than to argue with, or explain to, the customer why it is not covered. Just stand behind your work, fix the issue, and make it right. I will conclude by saying this: Use every opportunity in business to build more of a relationship with your customer. Serve them, put their needs first, do what you say when you say it, and always own up to any mistake or item needing correcting. This will ensure you a long-lasting, successful business.